The story of Joseph is remarkable for many reasons. His visions set him at odds with his brothers who would eventually sell him to a passing band of Midianites (without Reuben's knowledge). He would be sold on the slavery block to the captain of Pharaoh's guard where he served honorably until unjustly imprisoned by the vengeful wife of Potiphar. Languishing in the king's prison Joseph would be forgotten until the providence of God became full in Joseph's rise to power as second only to the Pharaoh's throne. "Now faith is the substance of things hoped for, the evidence of things not seen" (Hebrews 11:1). The faith of Joseph is noteworthy because of the hardships he endured as a young man. His trust in God is a worthy example of one of the greatest measures of hope given in scripture. He walked with God each step of his journey from the security of home to the humiliation of slavery and finally to the exaltation of honor in the court of Pharaoh. It would be twenty-two years from the time of his brothers cruel act until they day they stood before a ruler in Egypt begging for food. How do we measure faith? With what rule do we look at Joseph's life and understand the day-to-day hardship of loneliness, grief, hunger, sorrow and despair on the road to Egypt? "He sent a man before them - Joseph - who was sold as a slave. They hurt his feet with fetters, he was laid in irons. Until the time that his word came to pass, the word of the Lord tested him. The king sent and released him, the ruler of the people let him go free. He made him lord of his house, and ruler of all his possessions" (Psalms 105:17-21). 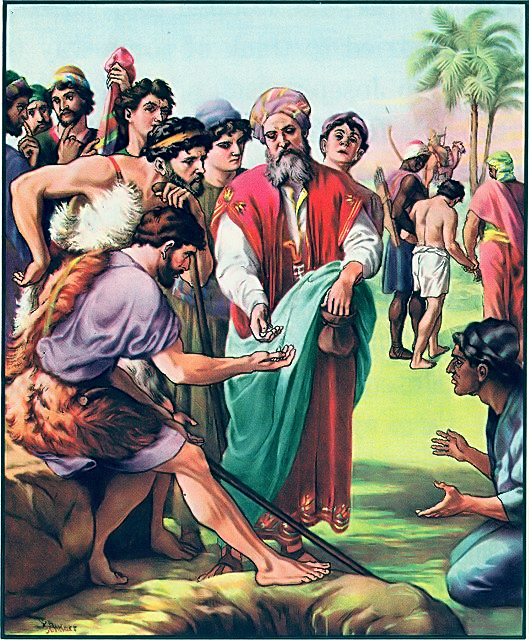 The story of Joseph must be viewed in the context of two decades of struggle before he could see his family again and finally proclaim through the eye of faith to those who sold him to slavery, "But as for you, you meant evil against me; but God meant it for good, in order to bring it about as it is this day, to save many people alive" (Genesis 50:20). Faith can be viewed as something to have for the short time, but how do you maintain your faith after twenty years? How do you keep your faith after the first five years and then ten and then fifteen and finally after twenty-two? Joseph understood something about faith that we all should take stock in. He did not understand why his brothers sold him. How hard that must have been as he walked along in shackles to Egypt but he walked with God and he trusted in God. The slave block was a most humiliating and fearful thing but as he stood there sold as so much meat before slave buyers Joseph knew God had not abandoned him. Blessed with opportunity in Potiphar's house he was cruelly punished for doing the right thing (Genesis 39). Seeing a ray of hope in the telling of the dreams of the butler and baker he was forgotten for two more years (Genesis 40; 41:1) but he knew that God had not forgotten him. Our measure of faith is not marked by time but the hope we have in our Lord. Joseph sought a homeland (Hebrews 11:13-16) that helped him keep his eye of faith on those things beyond the physical suffering. The twenty-two years separated from his family would not compare to the joy of an eternal abode with the God he loved, the God he served and the God he trusted with all his faith. "God meant it for good" (Genesis 50:20) is the banner of faith we must carry when faced with hardship.